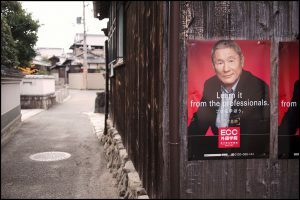 Film director Takeshi Kitano advertising the ECC Foreign Language Institute, one of the largest language schools in Japan. Eric F.
Various life courses emerge from teaching English in Japan: short-term and long-term stays, transformation into other professions or increasing precarity among a cohort of mostly uncontracted freelance workers. In this piece, I highlight those who move in and (then) out of Japan, taking our curated series from a focus on people coming to Japan to people who choose to leave. In 2007, Nova went notoriously bankrupt. Tyrone made do with hectic freelance work and eventually found a stable teaching position in Tokyo. When I met him, in the autumn of 2012, he was at the start of his fourth year with the school but had decided it would be his last. He was tired of a general deterioration of the ALT situation, a recurrent complaint during my research. Tyrone also experienced an “exodus” of peers after 3/11 Tōhoku earthquake and tsunami and felt isolated. 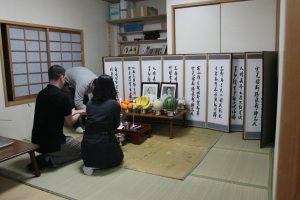 Even though he loved Japan and had started to feel at home, he was not as immersed as he thought he should be, despite his now proficient in Japanese and membership of a local union. Governmental improvements in July 2012 concerning the residency system failed to cure his general discontent. Tyrone started applying for jobs in Korea and Taiwan, where at the time the English teaching industry seemed more dynamic. By December 2013 he had found his “most stable contract so far” in Taiwan, where he still currently lives and works. As Tyrone’s story illustrates, teaching English in Japan flourished up until the best part of the 2000s; but constant economic decline, panics spurred by tragedies such as 3/11, and competition from markets in neighboring countries have made English teaching a precarious form of employment. 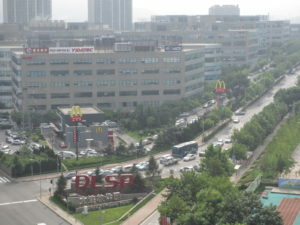 With less incentive for native speakers coming from well-off countries (US, UK, Australia, Canada), in recent years this industry has attracted different labor pools, such as well-educated young people from the Philippines, either based in Japan or teaching by correspondence. In August 2016 MEXT (The Ministry of Education, Culture, Sports, Science and Technology) promised to bring JET (Japan Exchange and Teaching) numbers back to their 2002 peak levels. These promises are coupled with other measures to increase English proficiency by the Tokyo 2020 Olympic Games. How such incentives will affect a volatile industry remains to be seen. As it stands, the precaritization of English teaching in Japan challenges the assumed trajectories and power differentials of mobilities East-West and North-South. Raluca Nagy is research associate at the University of Sussex and the Free University of Brussels. Her overarching interests are healthcare and mobility. It is from this perspective that she has been following the livelihoods of English teachers in Tokyo. 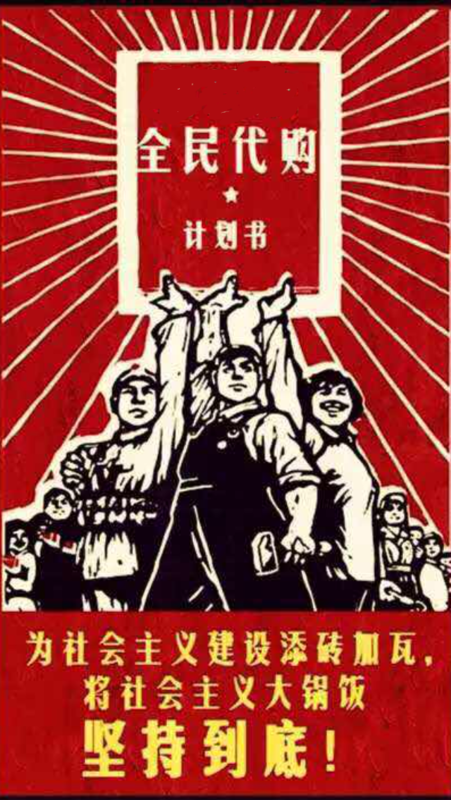 Chinese mobile subjects and their practices occupy an ambivalent role in contemporary Japanese society. They are the saviors of Japan’s sluggish economy but seen as the instigators of social problems: mass tourism, intensive shopping and crime. Chinese “newcomer” migrants are the largest minority in Japan (since 2006), and as tourists are the most numerous visitors (4.2 million in 2015). The complex intertwining of these various types of mobilities—human, material, financial—between China and Japan increasingly point to the emergence of a transnational field that blurs the distinction between migration, tourism, and trade. This trend is exemplified in the recent phenomena of “explosive buying” (bakugai/baomai) and “shopping through intermediaries” (daigou). 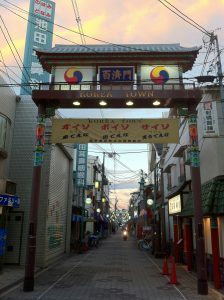 The neologism bakugai emerged in the Japanese media as a response to reports of intensive shopping by Chinese tourists. It has since filtered into Chinese as baomai and spurred the employment of native Chinese speakers in all large department and drug stores throughout Japan. Chinese consumers spent roughly 12.2 billion USD, or around 41 % of all international tourism consumption, in Japan in 2015 (JTA). The most desirable items were cosmetics and health products (baby formula, skin whitening products), followed by electronics (washlet toilets, rice cookers), and high-end designer brands. Many of these products are not bought for personal consumption, but as gifts or personal favors. The popularity of bakugai/baomai has given rise to Japanese media reports about unruly Chinese tourists and their excessive shopping habits, fueling the ongoing global image of the “ugly Chinese tourist.” Representations range from concerns about over-crowding to worries there will be no stock left for domestic customers (e.g., a particular concern in relation to milk formula). Tourist behavior has also caught the attention of the Japanese media, such as in September 2015 when a pair of Chinese honeymooners assaulted a convenience store worker in Hokkaido. Migrants living in Japan with excellent knowledge of Japanese products and brands have increasingly acted as informal tour guides for bakugai, as well as buying items as “intermediate shoppers” through networks on social media and then shipping them to customers (daigou). Ling, for example, a Chinese student at one of Japan’s prestigious universities, is always running around department stores, comparing prices, taking product photos and uploading them onto her Wechat account. Ling knew that her success depended on the authenticity she derives from studying in Japan—her contacts trust that she has access to original products and is familiar with new Japanese trends. Despite the presence of strong anti-Japanese sentiments in China, products from Japan are in high demand, and Japan is still seen as a desirable and modern location. Cross-border trade relies heavily on favorable currency and taxation rates, the price politics of international brands, consumer trust in foreign goods, and media images. 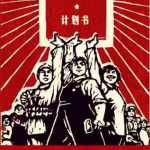 These everyday mobilities generate new cultural forms, such as bakugai and daigou, and discursive trends, such as media panics, suggesting new levels of connectivity, simultaneity, and volatility in the Sino-Japanese context. Martina Bofulin has been interested in different types of mobilities from PRC through the lens of family life and everyday practices and has done extensive fieldwork in southeast Europe and Japan. She is currently a researcher at Slovenian Academy of Sciences and Arts. Jamie Coates works on Sino-Japanese mobilities and their effect on young Chinese identities. In particular he is interested in the role migration and media play in young Chinese efforts to re-imagine co-ethnic and regional ideas of commonality. He is currently a visiting fellow at Sophia University. From the end of the war until 2007, Koreans represented Japan’s largest ethnic minority group. There are currently around half a million individuals in Japan who identify as Korean. This is only surpassed by the number of Chinese. The number of Koreans in Japan, however, has been shrinking over the last 20 years.Turbulent international relations have played a part in the diminishing number of Koreans arriving in Japan and the number of Zainichi Koreans (ethnic Koreans in Japan) identifying as Korean. During the administration of Park Geun-hye, relations between South Korea and Japan reached a low not seen in many years. This is due to the deepening “comfort woman issue,” the Dokdo/Takeshima dispute, South Korean fears of a remilitarised Japan, and the effect of the 2011 “Triple disaster” in eroding trust between the two neighbors. North Korea also factors into issues of identity and belonging for Koreans in Japan. Following ten years of nuclear tests and sporadic missile launches, North Korea, from a Japanese perspective, is considered a significant threat. The catalyst for the low point in North Korea–Japan relations was Kim Jong-il’s admission that North Korea had been kidnapping Japanese citizens. Reflecting the broader Japanese public opinion, during an interview with a Japanese policymaker in Tokyo he told me that North Korea had sent spies to Japan via the Zainichi community. All the bouncy K-pop in Seoul does not compensate for North Korean military posturing and state abduction projects. The specter of North Korea contributes to the rise in anti-Korean sentiment in Japan. 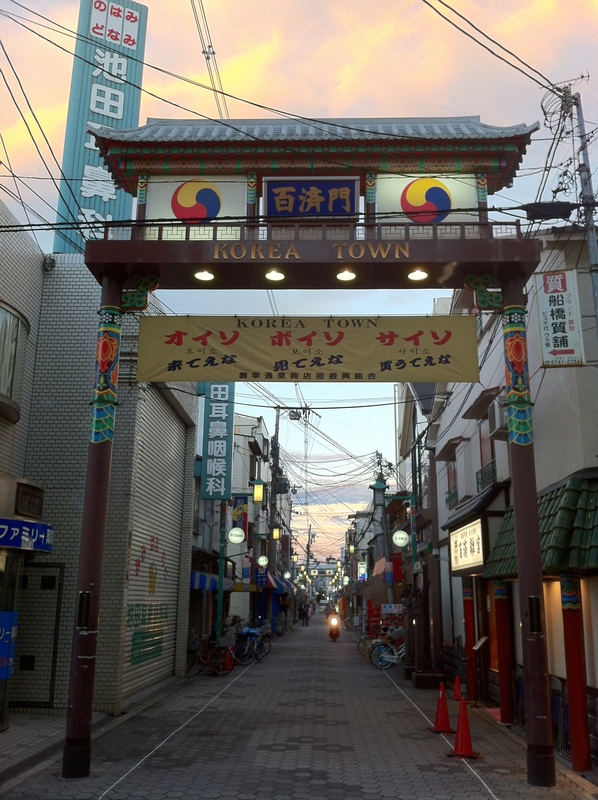 While these issues have a hand in how Zainichi Koreans identify, several further points are central to the diminishing number of individuals in Japan identifying as Korean. First, since the 1990s, reflecting a tendency for Zainichi Koreans to see ethnicity as separate from nationality, it has become more common for Zainichi Koreans to naturalize as Japanese. Furthermore, the number of Zainichi Koreans opting for South Korean citizenship also steadily grew from this time, reflecting the convenience that comes with traveling on a South Korean passport. Only a few hard-core individuals still cling to their North Korean Chōsenidentity cards. 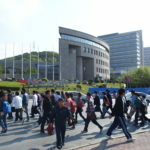 I met several of these individuals; they “love” North Korea but balk at the prospect of living there. Second, the number of Zainichi Koreans marrying Japanese continues to rise. These unions are not political expressions, many fourth or fifth generation Koreans feel more in common with Japanese than either of the two Koreas. We are entering a new phase in terms of what it means to be “Zainichi Korean.” This shift is symptomatic of temporal, geographical, political, and cultural distance growing between Koreans resident in Japan and each of the two Koreas. Koreans will not disappear from Japan, rather we may see the emergence of a truly transnational community, in which members exercise a flexibility in regard to where they identify. Today, a “third way“ in Zainichi Korean identity politics, seems more likely than ever. 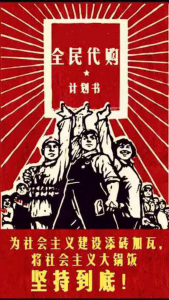 Markus Bell is a lecturer at the University of Sheffield’s School of East Asian Studies. His research expertise is in the areas of migration, kinship, memory, and transnational social networks. 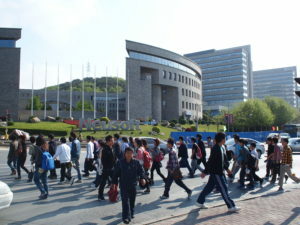 He currently teaches a course on North Korean history and society, and migration and Northeast Asia. Follow him @mpsbell. 2015 was the first time since 1920 that the population of Japan declined, and it is estimated that it will continue doing so. By 2100, 35% of the population will be over 65 years of age. International commentators, from journalists to researchers, recommend Japan increase immigration. And yet, Prime Minister Abe recently stated that Japan’s demographic crunch was not a problem, but rather an incentive for increased productivity. In his recent book on acceleration and overheating, Thomas Hylland Eriksen (2016) argues that “the credibility of the anthropological story about globalization depends on its ability to show how global processes interact with local lives.” Japan’s precarity, and its unique geopolitical position, provide an important case study for anthropological thinking about mobility’s role in producing futures, livelihoods and politics. It also challenges us to move beyond theories of mobility that assume the epochal inevitability of increased movement. In absolute terms, few people—less than 2% of the country population—i/emmigrate to and from Japan; many have argued that Japan is actually a net exporter of people. While the desire to travel overseas is dwindling among Japanese youths, tourism from Japan’s East Asian neighbours is booming. 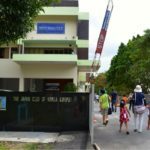 But, as is the case with “foreign-worker” policies, many are skeptical about this tourism boom’s long-lasting benefits. What might an anthropological approach to these problems tell us? 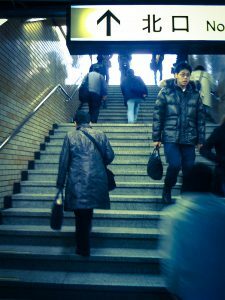 Ethnographic studies of mobility in and out of Japan show the way movement acts as a “qualisign,” connecting personal and national futures (Chu 2010). 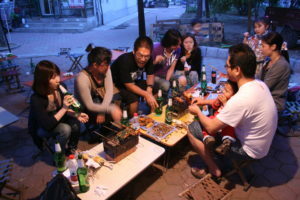 For Chinese people moving to Japan, whether as tourists or migrants, their mobilities produce comparisons between national discourses of modernity and their own notions of the “good life.” Similarly, shifts within the geopolitical and economic relationship between Japan and the Korean peninsula have ensured that many multi-generational Korean residents of Japan (zainichi) are facing difficult personal choices. Moving to Japan can also serve as a source of precarity for unexpected groups. Men who went to teach English in Japan, for example, can often find themselves in uniquely liminal positions. 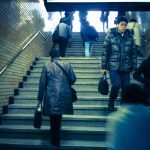 Mobility is also “good for thinking” about Japanese people whose concern about Japan’s increasing precarity has inspired them to look elsewhere. Inter-Asian movements have increased and produced new patterns of mobility. As Karen Kelsky has pointed out (2001), the concept of “abroad” holds various aspirational qualities for Japanese women, whether enacted or imagined. Japanese men work for the Chinese offices of their home companies. Lower living costs and nostalgia for a simpler life have drawn Japanese retirees to Southeast Asia. 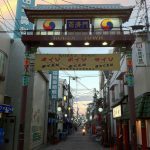 Over the coming months, we will be showing how recent ethnographic work on movements in and out of Japan can reveal new patterns and connections within East Asia. 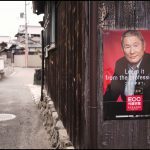 Editors’s note: This piece introduces the series “In and Out of Japan,” with the next pieces to be published over coming months. Raluca Nagy is research associate at the University of Sussex and the Free University of Brussels. Her overarching interests are healthcare and mobilities. It is from this perspective that she has been following, since 2012, the livelihoods of English teachers in Tokyo.